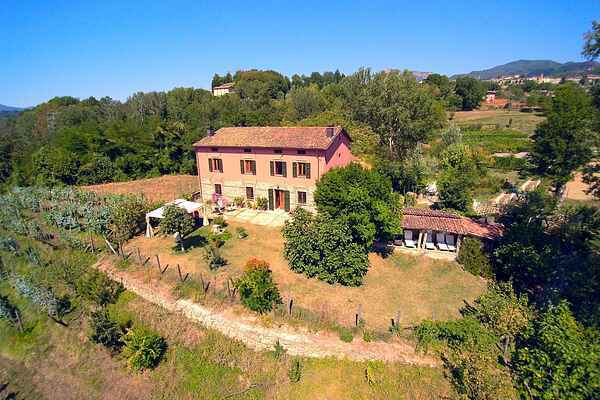 Casa Liana is a beautiful rural house, surrounded by the fields and hills of Tuscany. The apartment is on the ground floor. It has a spacious garden with plenty of privacy. The owner has carefully chosen the furniture in the apartment. He has personally restored a number of the antique pieces himself. The medieval village of Castiglione di Garfagnana with its original city walls is only 600 m away from Casa Liana. The area is perfect for mountain bikers and walkers. You can enjoy an interesting day trip to the Orechiella National Park. It has excellent botanic gardens with typical plants and flowers of the region. Youll see deer freely walking around in the gardens. Casa Liana is an ideal place to relax and enjoy the Tuscan hills and scenery.